The Conflict updates will include new incursion calls 'Clear Sky' and lures with new equipment, more story and tougher challenges. In this incursion you are faced with the Rikers and you get set equipment as a reward if you complete the Clear sky mission. The Division receives new equipment. With conflict you get access to four new high-end weapons and equipment sets. These have already been presented in the trailer – here, we have summarized them for you. 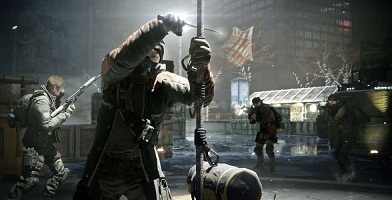 In The Division: Conflict allows players with about 200 Gearscore to enter a new Dark Zone Angle (Bracket). There you expect NPCs of levels 32-34, and of course the best PvP Loot at present. - In the Dark Zone, with the 1.2 update you can now hijack other player’s loot. - You cut off the rope, to which the loot of other players is fixed and so get the full loot. - Thereby you will also mark as Renegade and immediately a target for the other agent. - The fortified prey is no longer "safe" when you have fixed. - In addition, the new sealed containers drop in the Dark Zone. - These include mysterious objects / items that need to be picked. In The Division, now also appear search and destruction missions. - These are only available if you have completed all the encounters and side missions. - They lead you to enemies in groups of varying difficulty. - There are daily and quality issues. - For some groups are needed. By Search and Destroy missions you get information about reputable opponents. After the LMB was repulse, the other parties to seize power and you can measure with their leaders. Some talents are fixed with the update 1.2. - More Force Drops and less mods.